The day after our epic (but as yet uncompleted) ridge traverse we woke to the sound of rain. We didn’t mind, we were still exhausted and it was just nice to be warm and dry, with food within easy reach! We breakfasted on toasted cheese sandwiches and then later, on Smash (yep the instant mashed potato, with the aliens). It was gooood. In fact I was so unbelievably tired that Gareth had to feed me the Smash hehehe (or was I just being lazy – who can say!). Anyway I fell straight to sleep again for another few hours and by the time I woke up I was feeling quite a lot better. Eventually we dragged ourselves out of the tent and went out for dinner at The Uig Hotel on the ‘land’ side of Skye, where I had delicious baked camembert and mushrooms, as well as garlic mushrooms on toast. Just what the doctor ordered. Did I mention almost zero visibility? Basically if we had started earlier and been able to see where we were going, we would have got MUCH further in the same time frame and possibly pushed it to the end and down to Sligachan Hotel. We would at least have had the energy to climb the In Pinn instead of coming away empty handed but there you go. 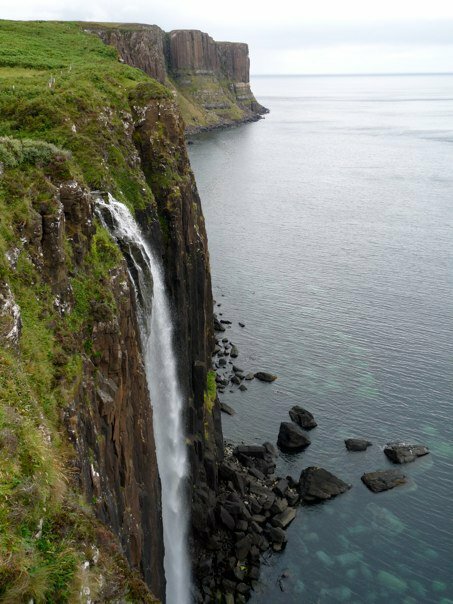 We spent the next day driving around Skye in the rain, trying to bag as many sights as possible without leaving the warm and dry of the car. 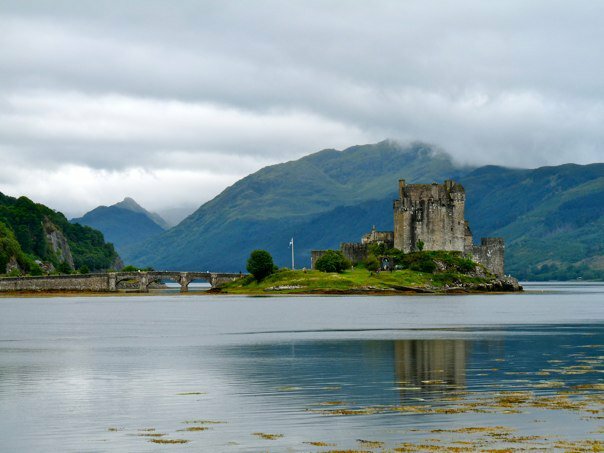 We managed to visit Eileen Donan Castle (as seen in Highlander), the Talisker Brewery at Carbost, which smelt AMAZING and was pretty educational too. Of course we had a wee dram of free Talisker whilst we were there, which was nice! 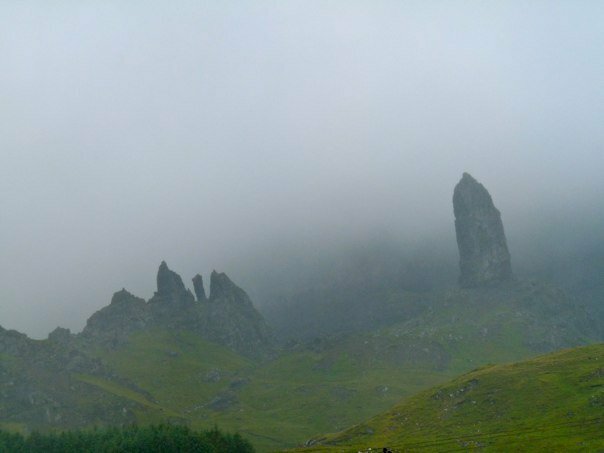 We also saw the Old Man of Storr, a pinnacle of rock that’s just waiting to be climbed next time we visit Skye, and we found ourselves down an iron age souterrain in the middle of a field. 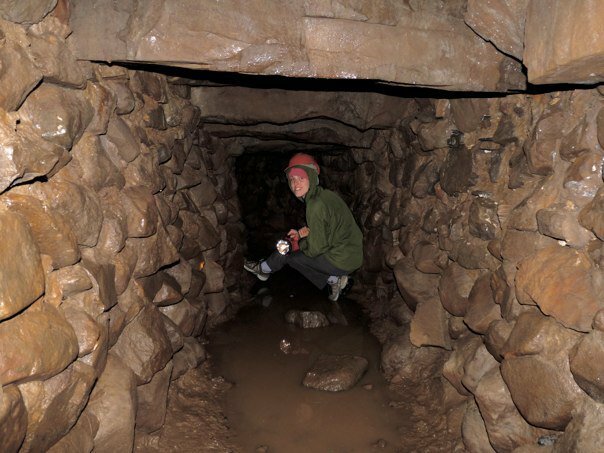 A souterrain is basically an underground larder. The one we were in was 17m long and just 75cm hugh. Good job we are both shorties, but even so it was very claustrophobic and we couldn’t turn around around and get out quickly enough (especially one of us, who ran away, taking the torch with him….). The next day we woke up and it was *still* raining. No wonder the place looks so green. Anyway, we’d had enough so we upped sticks and ran away, but we’ll be back, and we have PLANS! !